One of my very favorite pictures. 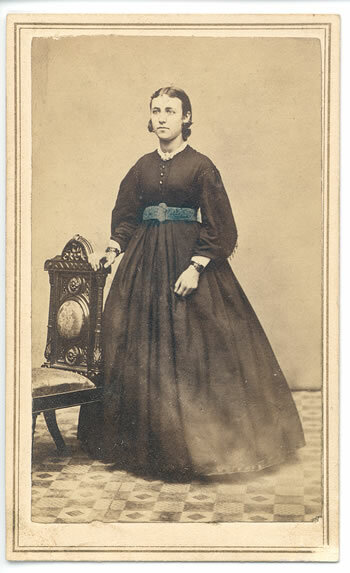 This is a picture of Ruth Elizabeth Bentley in the carte de visite format. She was the daughter of Andrew Bentley and Ruth Ells of Billtown, Kings County, Nova Scotia. She was called Lizzie, and she lived from January 23, 1850 until January 1950, dying just a few days short of her 100th birthday. 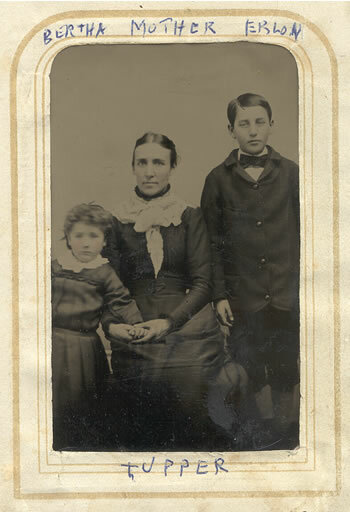 Lizzie was deaf from childhood, probably as the result of illness, and she attended the School for the Deaf in Halifax shortly after it opened until 1867. This picture was possibly a graduation portrait. 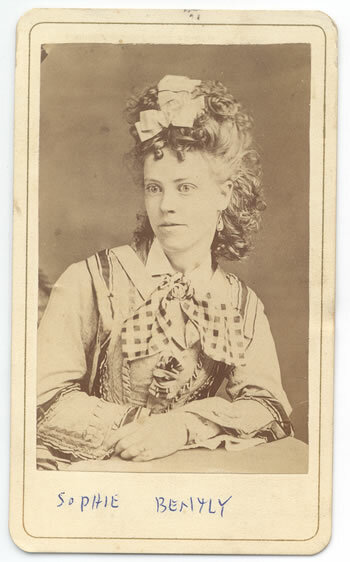 A caption on the back of the picture says "Lizzie Bently Aged 17 Years," so it was probably taken in 1867. The photographer information is: R. B. Wilson Photograph Gallery, Opposite London House, 131 Granville St., Halifax, N.S. I can't find R. B. Wilson in the 1866-7 Halifax city directory, but he's in the following one (McAlpine's Halifax City Directory for 1869-70) on page 336.